TOOTH GERM: Could YOU walk a Marathon a Day for 5 Months? Following last year’s tremendous success, the Sterling Dental Foundation is delighted to invite you to the Annual Sterling Dental Charity Ball 2015. Once again supporting Bobby, the Chairman of the India Association, as he undertakes his monumental five-month, 2,600 mile charity walk across India, the Sterling Dental Foundation is hoping to raise money for underprivileged children across the globe. Bobby’s Walk Full Circle is an exceptional event, that showcases one man’s passion for bringing smiles to the faces of those less fortunate. 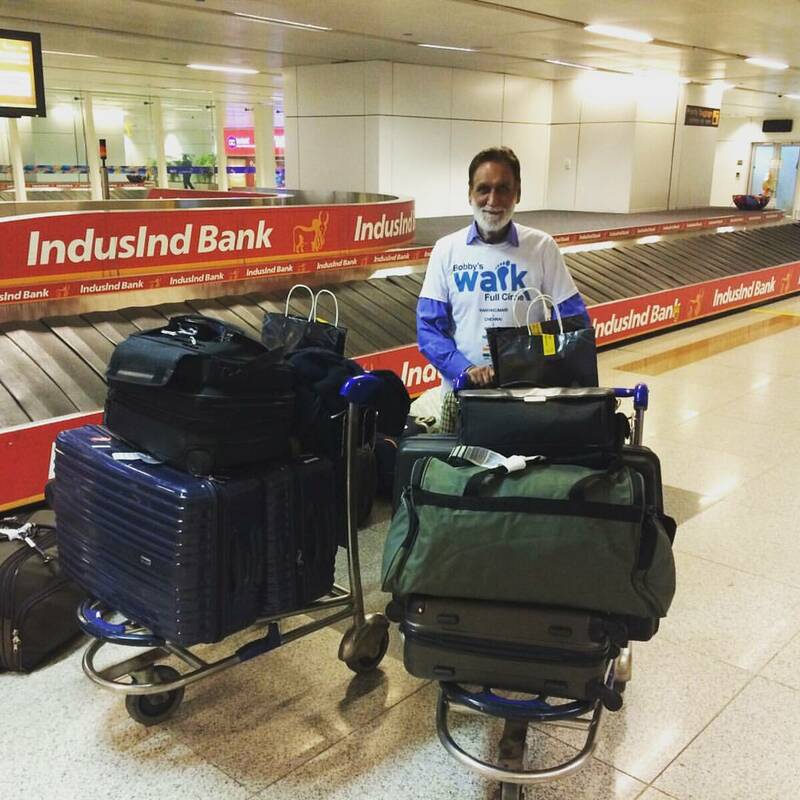 Starting in Kanyakumari in the south of country, Bobby will be walking along the vast east coast, through seven Indian states, to New Delhi – raising awareness of oral hygiene and dental health every step of the way. The Sterling Dental Foundation is proud to be able to support Bobby in this spectacular feat and, this year, is inviting UK and Indian dental practitioners to join Bobby on various legs of the journey – helping to spread happiness and good oral health to some of India’s poorest areas. In line with their own initiatives to raise awareness of oral health and dental education across all 29 states of the country, the Indian Government is also fully supporting the event. With their help, special pop-up clinics will be opening along the way – which will be perfect for sharing crucial information and treatments throughout the five-month journey. The Charity Ball is a fantastic event, where you can learn more about Bobby’s amazing undertaking and show your support for a worthy cause. Promising to be a sensational evening of top-quality entertainment and award-winning cuisine, the Charity Ball will undoubtedly show how generous and supportive the UK dental profession truly is. And it is hoped that, through this unparalleled generosity, over £1.5 million will be raised. Donated to the Great Ormond Street Hospital Charity, HRH the Prince of Wales charity, the British Asian Trust and many other admirable causes that seek to provide high quality care and innovative new treatments for children all across the world, this money will help ensure all children can receive the dental care they need. The Sterling Dental Foundation humbly asks for your support in this astounding endeavour. The Charity Ball is sure to be a wonderful evening of dancing and dining as well as a fantastic opportunity to see old colleagues, meet new friends and relax – all while helping those who need it the most.